All India Rank Assessment Test 2 - Now Online! The Biggest Ever Online Test for Engineering and Medical entrance exams is here. 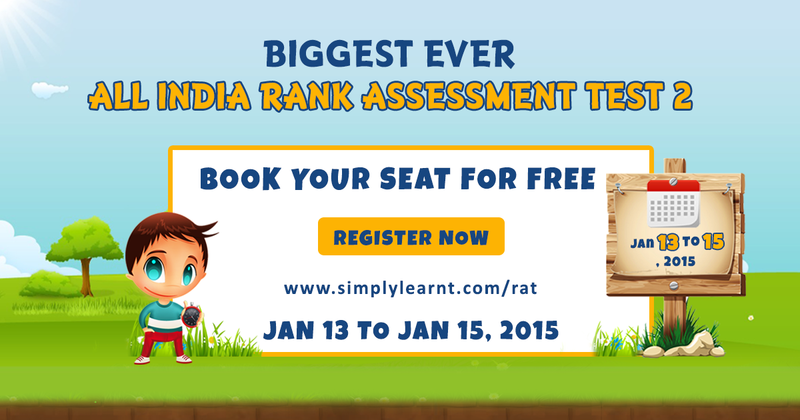 The All India Rank Assessment Test (RAT) is now Online! Will enable you to judge your preparation for JEE/AIPMT and also help in predicting your future rank. And most important - all of this is for FREE! Take the test any time 13th, 14th or 15th January and wait for your results. You may just win one of our exciting prizes including our Topper Test Series for various exams. Like our Fan page on Facebook to stay updated about this and future tests. Click here to like.